BUTWAL, Feb 19: When other children would go to school clutching books and exercise books, Krishni Tharu, then six-year-old, worked as Kamlari (female indentured laborer) at someone else's house. At the tender age of 15, she was married off to a Kamaiya (male indentured laborer). Life was difficult, but she persevered. In the year 2,000, the government abolished the Kamaiya system. This came as a huge relief to her. 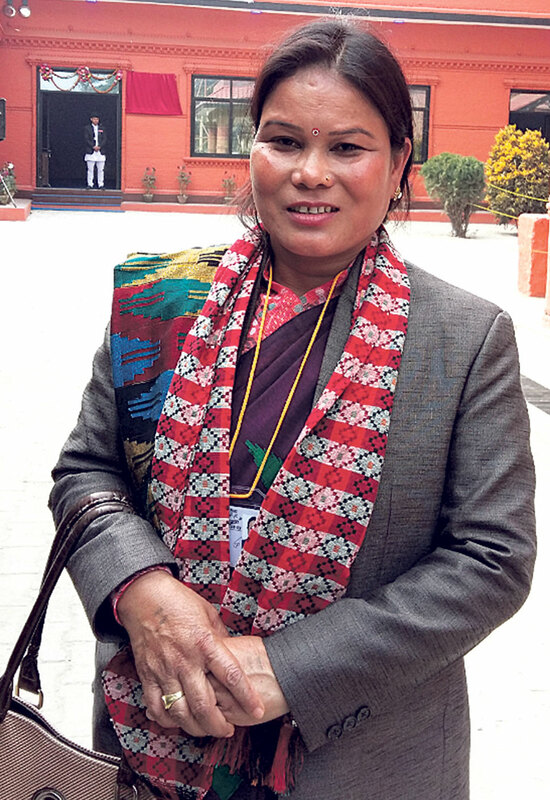 Raising a lot of eyebrows, Tharu, now 42, has been elected as deputy speaker of Province 5. She garnered the most number of votes in the election held on Sunday. 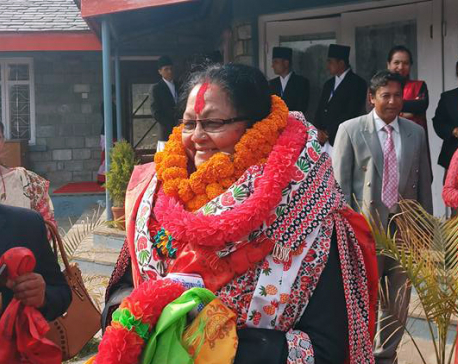 CPN-UML had forwarded the name of Tharu for the post of Deputy Speaker after Purna Bahadur Gharti of the CPN (Maoist Center) was elected speaker of the province. Out of total 84 votes, 66 provincial members voted for her. After this stunning victory, Tharu said she will spend the rest of her life fighting for the rights and welfare of the downtrodden. "I feel the pressure and responsibility to work for and improve the lives of the underprivileged people," said Tharu. As she never got the opportunity to join regular school, Tharu, joined informal education classes in 1993 and continues the learning process to this day. Although she was deprived of formal education, she found and honed her leadership skills while fighting for the rights of fellow Kamaiyas. When the Kamaiya system was abolished in 2000, her landlords released her. They started living on a piece of land belonging to a community forest in Rajapur. A year later, in 2001, the government provided them 1 kattha and 10 dhur land in Rajapur Municipality-4. She and her husband still live there along with their son and a daughter. She has already lost her mother while her father lives in Bardiya. "My father's happiness knew no bounds when I called him to inform that I have been elected deputy speaker of the province," she shared. In 2002, a Freed Kamaiya group was formed under the leadership of Tharu for securing the rights of the freed Kamaiyas. According to her, members of the group save Rs10 per month and this money is used for the education of the former Kamaiyas. She is also the central member of Freed Kamaiya Society and chairperson of Kamaiya Jagaran Mahila Samaj. Tharu joined politics in 2007. She was selected the provincial assembly membership under the proportional representation category by the CPN-UML.